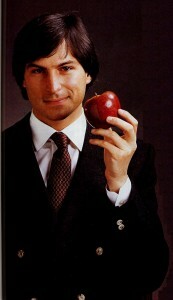 It’s been one year since the iconic legend – Steve Jobs passed away. Apple continues to soar to new heights it seems despite the loss of their charismatic leader. Or not? Apparently the dent he created in the universe poked a big hole…some of those holes had money in them…lots of money…and it continues to pour over on Wall Street. But is Apple really as hot as it once was. Was it the halo effect of it’s charismatic leader or was there something more? There are signs perhaps that Apple is singing to a different beat – Tim Cook style. On the face of it things are looking great but the essence of leadership has changed dramatically. From a management-by-the-book perspective it’s probably too early to judge. But if the Apple event from Oct 23 is anything to go by – it was a show of a different kind of leadership – supply chain leadership. Over a period of few months Apple has revamped it’s entire line of products. No leaps and bounds, nothing path-breaking but clearly building on the innovation of the former. The iPhone became thinner, lighter, faster, better but it is still an iPhone. The iPad turned into a family with the high-end retina display unit on one side unlike any in the market and an entry level iPad mini for another segment of the market altogether. The Apple philosophy of delivering brilliance of both form and function at an affordable price lives on. But that’s about it. The ability to envision industry changing products and services was the kind of stuff Steve Jobs was made of. Remember the mock videos at the time of the iPad launch about three and half years ago. It was slated to be dead on arrival by many. Look at it today. The iPad revolutionized the portable PC market and is single-handedly responsible for killing netbooks and probably notebooks too in due course. Thanks to Steve Jobs. This as many of you know was not the first or the only industry shaken up by the magic of Steve. So why the big change? What was the magic of Steve? I think answer lies in the way Jobs saw life. He had a very profound yet simple view of life. Life is not about getting by, maintaining the status quo, doing the usual, following convention. It is about shaking out of this erroneous world view that things around us cannot be changed and one must simply conform. It is about understanding that everything around us has been built by people no smarter than ourselves and that we can break things, shake things, change things and make them better. I think that is what he did and probably that is what all great people do. Overcoming the fear of failure, plunging forward and taking action. Doing things that matter and pursuing them relentlessly against all odds. These are the kinds of ideals Steve Jobs lived by and that I believe this was the magic of Steve. The question to ask now is – What are WE doing to make a dent in the universe? For all those interested here is Steve Jobs himself with some words of inspiration. A small clip from his 1994 interview conducted by the Santa Clara Valley Historical Association. Get inspired then get going!